You only have about a week before the kids hit the streets for a night of trick-or-treating. You don’t want to let down the little vampires and witches by not having some great home decorations. 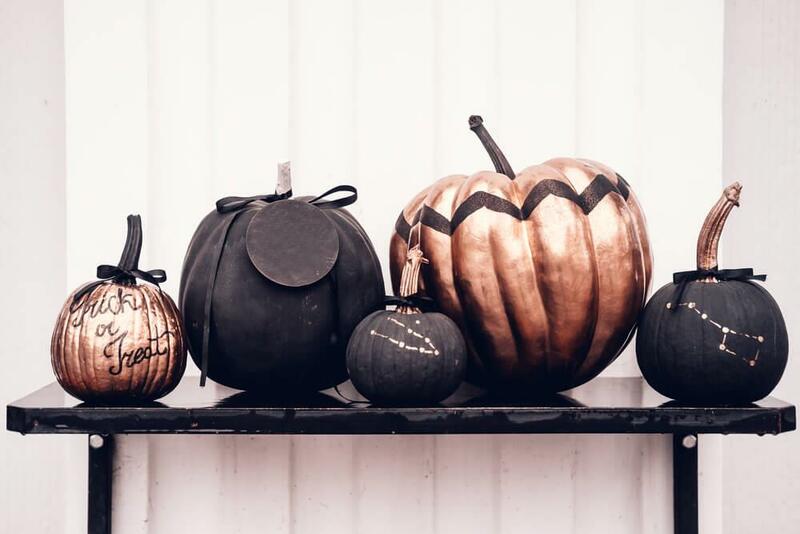 If you’re not into the whole black and orange, ghoulish Halloween look, then why not try these stylish Halloween decorations? It’s amazing how changing colours can immediately give your seasonal decor a more elegant look. Instead of carving your pumpkins this year, paint them white, black, gold, or silver, then cluster accordingly on your front steps and by your front door. 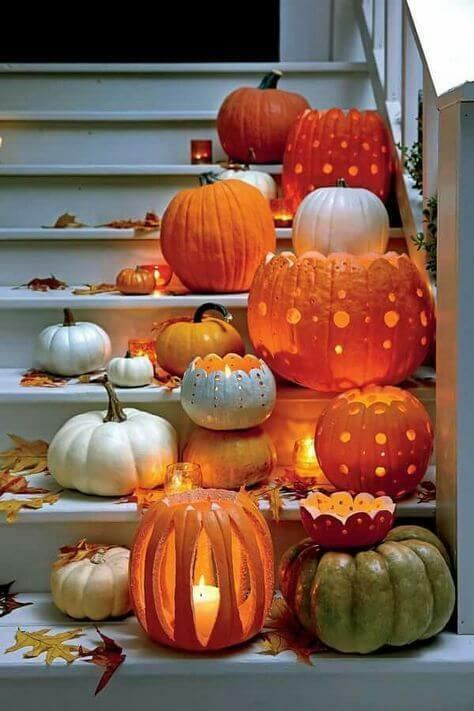 And don’t be afraid to throw in some smaller pumpkins to give your decor an even more sophisticated look. Since these pumpkins don’t light up, you’ll want to make sure you have decent exterior lighting, and even if you don’t, the parents with younger children who trick-or-treat earlier in the evening will appreciate your sense of style. Okay, if you must carve a pumpkin, then at least try something other than the traditional jack-o-lantern face. We recommend incorporating a geometric pattern. Make sure you use simple shapes though because the pattern needs to look consistent. The smaller the shapes and more intricate the pattern, the better it will be (though it will also take longer). When people think of twinkling lights or flood lights on their home, images of the holiday season spring to mind. But it’s all in the colours you’re using. 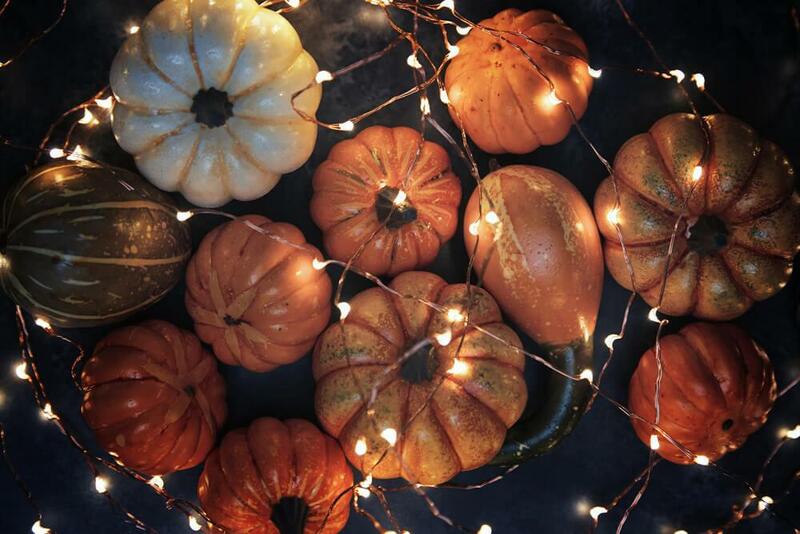 If you have a black and white theme going, white twinkling lights will look great with your pumpkins. And why not get a huge orange flood light and just shine it on the front of your home? It would definitely make your house stand out and you barely had to do any work. If you have an old holiday or Thanksgiving wreath in storage, why not spray paint it black? 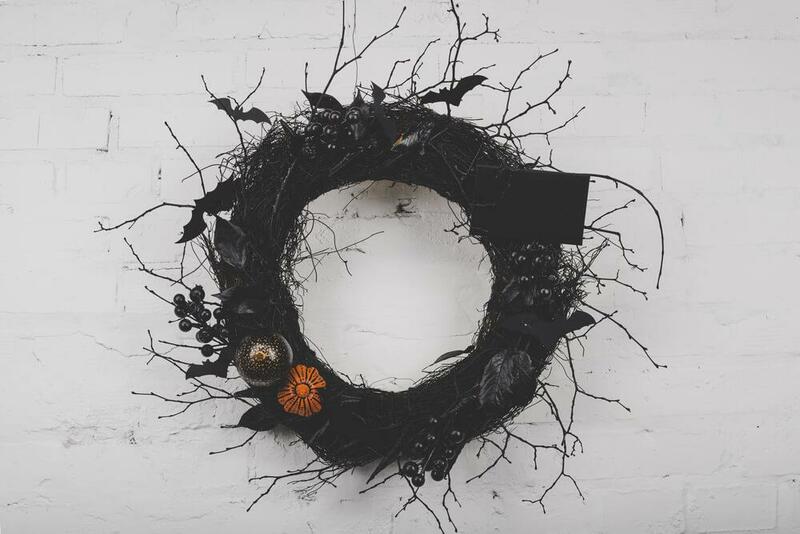 A solid black wreath is surprisingly morbid but also stylish when paired with things like the right lighting and elegant pumpkins. When the paint is dry, add a few Halloween themed figures like bats or little cheesecloth ghosts. 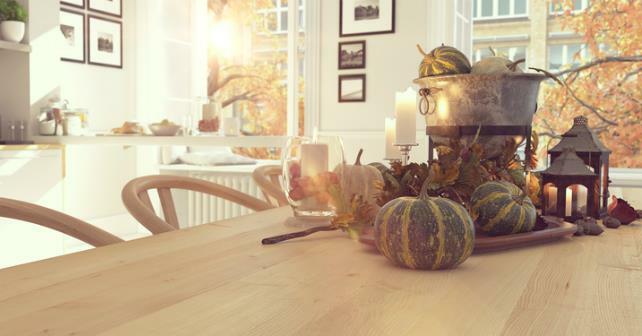 We hope these stylish Halloween tips make your home the best decorated in your neighbourhood!